Pain is a subjective experience that no two people will experience in the same way. Pain can encompass a whole range of very different experiences, from acute pain felt after a sporting injury, to chronic, ongoing pain that doesn't seem to have a specific cause, nor a direct solution. And the treatment of pain seems to have as many options as there are ways to experience it. 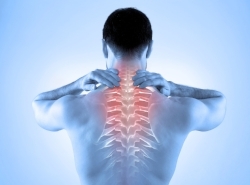 Acute pain usually comes from an illness or injury, and therefore has an identifiable cause. It also usually fades as the injury gets better, though it can sometimes turn into chronic pain. Chronic pain is defined as lasting longer than 3 months, and can often last for years. It can be associated with actual tissue or nerve damage, or be the result of an over-sensitised nervous system (Pain Australia, 2018). So as can be seen, pain is a very common experience that affects people beyond just the pain they may be feeling. It can have an impact on their mood and psychological health, sleep quality, ability to work or care for their family, and their general enjoyment in life. Due topic being one of the primary reasons people will come to an acupuncture clinic, there has been a lot of research done in this area. One of the largest systematic reviews done in the area of pain was conducted by the Veterans Affairs Department in the United States (Hempel et al., 2014). They found evidence of a positive or potential positive effect from acupuncture on pain in areas including: period pain, headaches, chronic pain, migraine, pregnancy pain, osteoarthritis, and general pain. There have been a couple of studies that have looked into the general benefits of acupuncture for pain. MacPherson et al. (2017) examined whether the effects of acupuncture lasted after the treatment had finished for patients with chronic pain conditions eg. musculoskeletal pain, migraine, headaches, and osteoarthritis of the knee. They found that 90% of the benefit from a course of acupuncture treatments would be sustained at 12 months, concluding that "patients can generally be assured that treatment effects persist". Taylor et al. (2014) and Andonis et al. (2017) found that acupuncture was a cost-effective treatment for low back pain. And the Acupuncture Evidence Project (McDonald & jazz, 2017) found that acupuncture has a positive effect in treating migraine, headache, low back pain, pain from osteoarthritis of the knee, and post-operative pain. Two meta-analyses into acupuncture for chronic pain, one with 29 studies and one of 39 studies, found that acupuncture is an effective treatment for chronic pain of various types, and that the treatment effects persist over time (Vickers & Linde, 2014; Vickers et al., 2018). And recent research has come out showing that acupuncture can treat chronic pain, and allow for a reduction in pain medication. Davis et al. (2018) showed that after receiving up to 12 acupuncture sessions, significant reductions in pain levels were experienced. Also, 57% of patients reported a reduction in pain medication (non-opioid), and 32% reported a reduction in opioid medication use. 96% of patients said they would recommend acupuncture to others with chronic pain. Systematic reviews of acupuncture for migraines has shown a positive effect when compared to sham acupuncture, medication or no treatment. Yang et al. (2016) found that acupuncture was superior to sham acupuncture in reducing the frequency of migraine attacks. DaSilva (2015) found acupuncture to be at least as effective as conventional drug preventative therapies, and that it is safe, long lasting, and cost-effective. And Linde et al. (2016) showed acupuncture to be more effective than conventional preventative medication, at both 3 month and 6 month follow ups after treatment. For tension-type headaches and chronic headache disorder, in a summary of systematic reviews, Coeytaux & Befus (2016) found improved clinical outcomes for acupuncture compared to conventional treatments or medical management at 2 months after treatment began. And Linde et al. (2016) found acupuncture to be an effective treatment for tension-type headaches. There is moderate to strong evidence showing that acupuncture is an effective treatment for low back pain. Chou et al. (2016) found that acupuncture had a moderate effect on chronic low back pain in a systematic review of 156 studies. Wellington (2014) found that there was stronger evidence of acupuncture being able to help with low back pain when compared with other therapies such as yoga, progressive muscle relaxation, manipulation or laser therapy. Lee et al. (2013) found that acupuncture was more effective than non-steroidal anti-inflammatory drugs (eg. ibuprofen) for improving symptoms of acute low back pain, and that there were very few side effects. And Lam et al. (2013) and Liu et al. (2015) both conducted systematic reviews into the effectiveness of acupuncture treatment for chronic low back pain, with evidence showing a reduction in pain and an improvement in function. Studies have shown acupuncture to be effective at reducing pain from arthritis of the knee. Corbett et al. (2013) in a meta-analysis, found that acupuncture produced a better result than other treatments, including usual medical medical care, TENS, muscle-strengthening exercises, or balneotherapy. And Manyanga et al. (2014) found that acupuncture was associated with significant pain reduction, as well as improvements in functional mobility and health-related quality of life. The Acupuncture Evidence Project (McDonald & Janz, 2017) found there to be moderate evidence of acupuncture being used alongside medication to be effective for relieving neck pain. Trinh et al. (2016), in a systematic review of 27 studies, found evidence that acupuncture relieves neck pain better than inactive treatment or sham acupuncture. If you have any questions relating to acupuncture treatments for chronic or acute pain, please feel free to contact Lachlan at the clinic on 9337 8572 or by email at lachlan@essendonnaturalhealth.com.au. Andronis, L., Kinghorn, P., Qiao, S., Whitehurst, D., Durrell, S., McLeod, H. (2017). Cost-effectiveness on non-invasive and non-pharmacological interventions for low back pain: a systematic literature review. Applied Health Economics and Health Policy, 15 (2), 173-201. Chou, R., Deyo, R., Friedly, J., Skelly, A., Hashimoto, R., Weimer, M., Fu, R., Dana, T., Kraegel, P., Griffin, J., Grusing, S. & Brodt, E. (2016). Non-invasive treatments for low back pain. Comparative Effectiveness Reviews, 169. Coeytaux, R. & Refus, D. (2016). Role of acupuncture in the treatment or prevention of migraine, tension-type headache, or chronic headache disorders. Headache, 56 (7), 1238-40. Corbett, M., Rice, S., Madurasinghe, V., Slack, R., Fayter, D., Harden, M., Sutton, A., MacPherson, H. & Woolacott, N. (2013). Acupuncture and other physical treatments for the relief of pain due to osteoarthritis of the knee: network meta-analysis. Osteoarthritis Cartilage, 21 (9), 1290-1298. DaSilva, A. (2015). Acupuncture for migraine prevention. Headache, 55 (3), 470-473. Davis, R., Badger, G., Valentine, K., Cavert, A. & Coeytaux, R. (2018). Acupuncture for chronic pain in the Vermont MedicAid population: A prospective, pragmatic intervention trial. Global Advances in Health and Medicine, 7, 1-10. Hempel, S., Taylor, S., Solloway, M., Miake-Lye, I., Beroes, J., Shanman, R., Booth, M., Siroka, A. & Shekelle, P. 2014). Evidence map of acupuncture. Department of Veterans Affairs VA-ESP Project, Jan 2014. Lam, M., Galvin, R. & Curry, P. (2013). Effectiveness of acupuncture for non-specific chronic low back pain: a systematic review and meta-analysis. Spine, 38 (24), 2124-2138. Lee, J., Choi, T., Lee, M., Lee, H., Shin, B. & Lee, H. (2013). Acupuncture for acute low back pain: a systematic review. Clinical Journal of Pain,29 (2), 172-185. Linde, K., Allais, G., Brinkhaus, B., Fei, Y., Mehring, M., Shin, B., Vickers, A. & White, A. (2016). Acupuncture for the prevention of tension-type headache. Cochrane Database of Systematic Reviews, 2016, (4). Linde, K., Allais, G., Brinkhaus, B., Fei, Y., Mehring, M., Vertosick, E., Vickers, A & White, A. (2016). Acupuncture for the prevention of episodic migraine. Cochrane Database of Systematic Reviews, 2016, (6). Liu, L., Skinner, M., McDonough, S., Marie, L. & Baxter, G. (2015). Acupuncture for low back pain: an overview of systematic reviews. Evidence-Based Complementary and Alternative Medicine, 2015. DOI: 10.1155/2015/328196. Manyanga, T., Froese, M., Zarychanski, R., Abou-Setta, A., Friesen, C., Tennenhouse, M. & Shay, B. (2014). Pain management with acupuncture in osteoarthritis: a systematic review and meta-analysis. BMC Complementary and Alternative Medicine, 2014, 14:312. McDonald, J. & Janz, S. (2017). The Acupuncture Evidence Project: A comparative literature review (Revised Edition). Brisbane: Australian Acupuncture and Chinese Medicine Association Ltd; 2017. http://www.acupuncture.org.au. Taylor, P., Pezzullo, L., Grant, S. & Bensoussan, A. (2014). Cost-effectiveness of acupuncture for chronic non-specific low back pain. Pain Practitioner, 14, (7), 599-606. Trinh, K., Graham, N., Irnich, D., Cameron, I. & Forget, M. (2016). Acupuncture for neck disorders. Cochrane Database of Systematic Reviews, 2016 (5). Vickers, A. & Linde, K. (2014). Acupuncture for chronic pain. Journal of the American Medical Association, 311 (9), 955-956. Vickers, A., Vertosick, E., Lewith, G., MacPherson, H., Foster, N., Sherman, K., Irnich, D., Witt, C. & Linde, K. (2018). Acupuncture for chronic pain: Update of an individual patient data meta-analysis. The Journal of Pain, 19 (5), 455-474. Wellington, J. (2014). Non-invasive and alternative management of chronic low back pain: efficacy and outcomes. Neuromodulation, 17 (2), 24-30. Yang, Y., Que, Q., Ye, X. & Zheng, G. (2016). Verum versus sham manual acupuncture for migraine: a systematic review of randomised controlled trials. Acupuncture Medicine, 34 (2), 76-83.